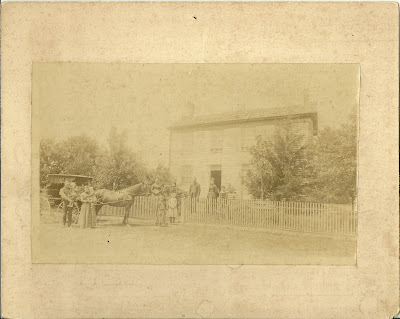 Large photograph of a family of 11 or more in front of their house, along with fancy carriage and refined horse. 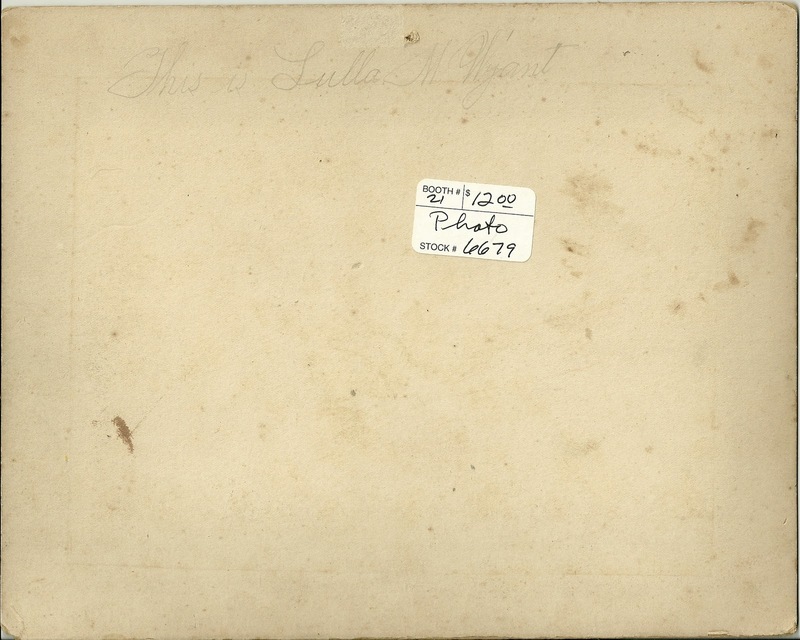 The reverse of the photo has this text: This is Lulla M. Wyant. The photograph was purchased in Maine, and I did find some Wyant families in Maine (but no Lulla or Lula), but I don't know if the setting is Maine, New England or somewhere else. The shop in Maine where this photograph was purchased had a large quantity of photos from the prairie states and Scandinavia, as well as photographs of New England. 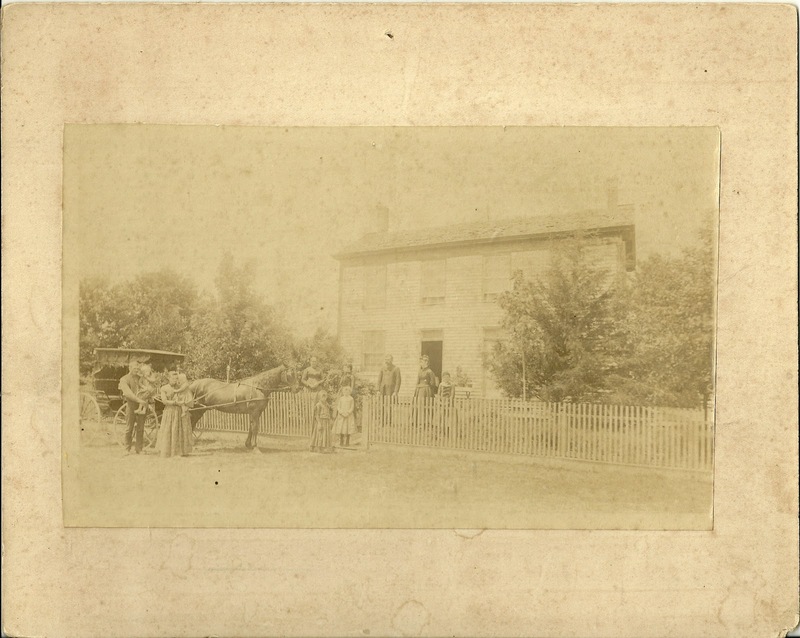 Hopefully a reader will recognize the house, if it'still standing and in the family, or from Wyant family albums, if it's no longer standing. If so, please leave a comment or contact me directly.